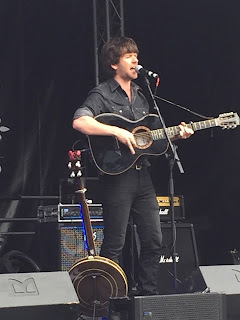 The songs are really flowing from Daniel Meade’s creative reservoir at the moment as an impromptu collection of solo material hits the market. 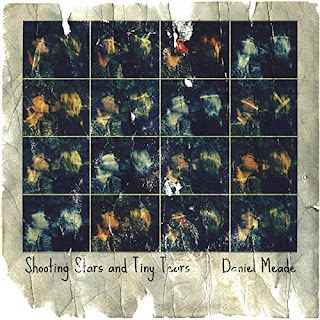 Despite the ten tracks that form SHOOTING STARS AND TINY TEARS having their origin in a fun-based hastily composed personal project, the decision to make them available in the recorded format is set to prove a smart move as Daniel continues to establish himself on the roots and wider music scene. This suggestion of spreading his talents further comes from a recent stint playing substantial venues as part of Ocean Colour Scene’s touring band. All good experience, and no doubt a useful source for putting coffers into the bank to fund the solo stuff. SHOOTING STARS AND TINY TEARS sees Daniel operating apart from his Flying Mules colleagues, although we have been assured that more music in the band format is likely to surface during the year, another indicator to Daniel’s current rich vein of productivity. This release is on the back of last year’s acclaimed album LET ME OFF AT THE BOTTOM which continued to raise Daniel’s profile, one most given a lift by his touring work with Sturgill Simpson. This album was put out in association with At The Helm Records, but that proved a one-off venture as self-release now seems the preferred route to market as indicated by the new one credited to Daniel’s own label From The Top Records. By undertaking the writing, playing and singing on all tracks, the album resonates with an organic feel and a retro wrapping that will possibly be with Daniel during his entire career. 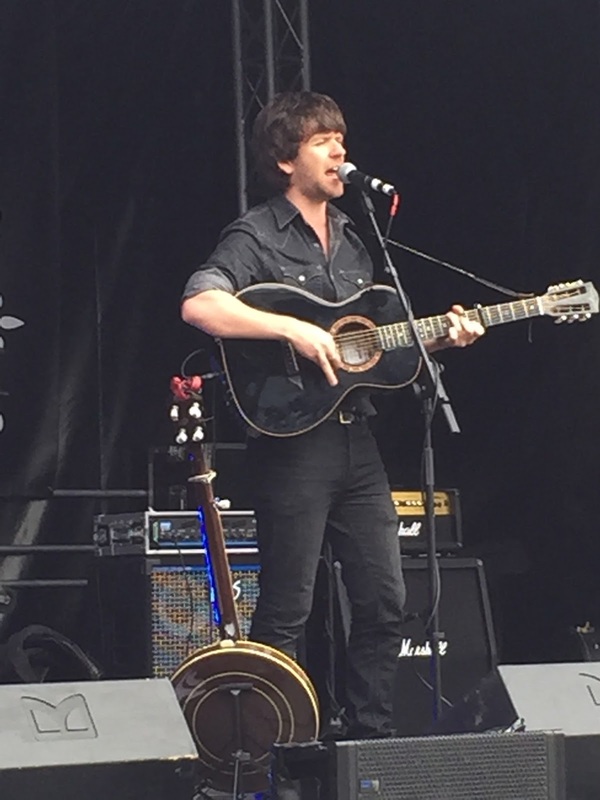 For those previously acquainted with his music, the sound floats around the old time spectrum calling at the popular points of traditional country, honky tonk and straight up rock ‘n’ roll pop. The music is sufficiently simple in its constitution, but not to the detriment of the effectivity which has long marked Daniel’s music as easy listening two to three minute hooks. Making an album stick around is always the challenge for an artist especially when it’s not designed to be a tastemaker. However the title track ‘Shooting Stars and Tiny Tears’ has such a great feel to it, one suspects it has the capability to thrive on playlists as the annual deluge of good music gathers pace. Although technically in the partial shadow of this fabulous opening track, the other nine songs are not too far behind with ‘Your Voice at Night’. ‘I Got Something’ and ‘Throwing Pebbles (Round My Head)’ leading the way. Holistically there is not a track empty of feel good merit and the effortless vibes you succumb to are a credit to Daniel Meade the songwriter. The signs are that 2017 will be yet another busy year for Daniel Meade and hopefully he can keep venturing down the M74 from his Scottish base to entertain us folks south of the border. SHOOTING STARS AND TINY TEARS will add a few more good tunes to his song arsenal and as an interim album this record stands up to serious scrutiny before emerging as an highly enjoyable release.